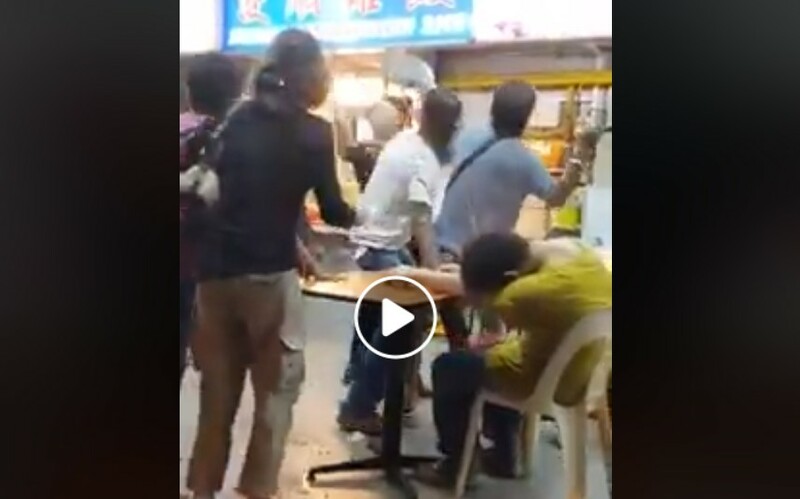 FIGHT AT GEYLANG COFFEE SHOP. VERY FIERCE!! CHAIR TABLE ALL FLY! You are at:Home»Caught In The Act»FIGHT AT GEYLANG COFFEE SHOP. VERY FIERCE!! CHAIR TABLE ALL FLY! It is unclear what is the topic of dispute for this incident that happened at Geylang. The guy in yellow power, sleeping in complete peace. Maybe not happy with the Chicken rice? Next Article MAN TRYING TO KILL HIMSELF AT GEYLANG. RUN TOWARDS CAR!